For better than 25 years, we have been bringing people, innovative concepts [or methods] and compelling creative together to achieve positive and often exciting results for our clients. Known for creating engaging and effective visual and verbal communication, we are passionate about quality and offer a full range of award-winning services. Our team excels at finding innovative and creative solutions that bring people together and influence public perceptions and behavior, building community, business and customer relationships across Arizona. Our seasoned public involvement team develops, facilitates and manages public participation plans and community outreach programs to achieve productive public participation and informed public consent. Our public involvement specialists have effectively planned and managed a diverse range of public outreach efforts, crisis communications, public meetings and government briefings. 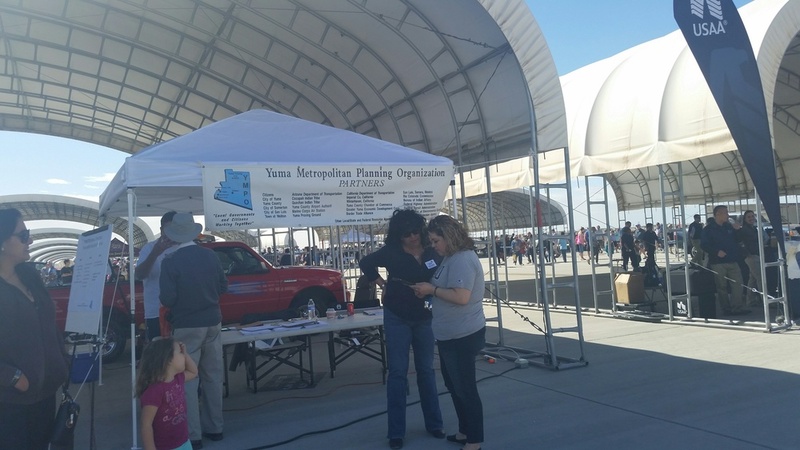 We have facilitated hundreds of public events and meetings, ranging from informal neighborhood get-togethers to regional events throughout Arizona, building understanding and trust between organizations and those they serve. Marketing is about creating a clear vision and communicating that vision to the people who matter to a business or organization. Our marketing professionals are highly skilled at identifying consumer trends and developing marketing strategies that communicate brand attributes clearly and effectively. We are experts at both new brand development and repositioning an existing brand, excelling at the market research and analysis that informs strategic communications planning and the development of creative marketing materials. Clear, compelling messages capture a target audience’s attention and elicit action. Our award-winning creative team develops compelling visual and verbal communications in both English and Spanish. The team’s extensive experience working with non-profits, private- and public-sector clients includes strategic multimedia marketing and public information campaigns, interactive digital ads, websites, social media, and brand identities reflected in visually engaging collateral materials that make an authentic human connection. A successful advertising campaign is built on a solid plan with a clearly defined marketing strategy and goal. Our team has decades of experience in researching, planning, developing and implementing strategic paid-media and earned-media campaigns, in English and Spanish, to effectively reach a variety of audiences. Our media specialists are adept at researching and strategizing media placement, negotiating costs, coordinating with all appropriate media outlets to ensure timely delivery, and monitoring and adjusting media campaigns for maximum effectiveness. We keep current with the most recent technologies in the ever-shifting digital landscape, offering the latest in social media formats and digital technology to engage and interact with the target audience. Branding is about having a clear vision and communicating that vision to the people who matter to your business. Whether it’s a new business or one experiencing growth and transition, our brand strategists and creative team has a proven process that can help uncover your organization’s true brand and bring it to life. We aren’t afraid of technology. It’s about spreading the word or marketing message to mass audiences with the tool of choice, on demand. Our team integrates various social media platforms to build brand awareness, generate buzz, inform audiences and encourage users to share information. We can help you select the appropriate platform to facilitate your communication needs. Our firm’s media relationships throughout southern Arizona generate the publicity and awareness needed to promote a brand as well as to publicize programs and events. Our team also provides customized media training. Our hands-on training gives clients powerful communication tools and expert guidance from understanding media dynamics to specific methods to keep messages clear, confident and positive.